Bringing Home the Bacon: Who needs a haircut? Claude' is BACK! Who needs a haircut? Claude' is BACK! Ladies, hold on to your blinged out boots, international pig clipping man of mystery, Claude'**, is back in town just in time to lend his expertise in the lead-up to our annual pig auction. I can't believe its been five years since we first revealed our affiliation with Claude'. We had been trying to keep his participation in our pig grooming process a secret, but due to his fame and popularity, it was difficult to keep from including him here. Over the years, Claude' has been particularly camera shy. 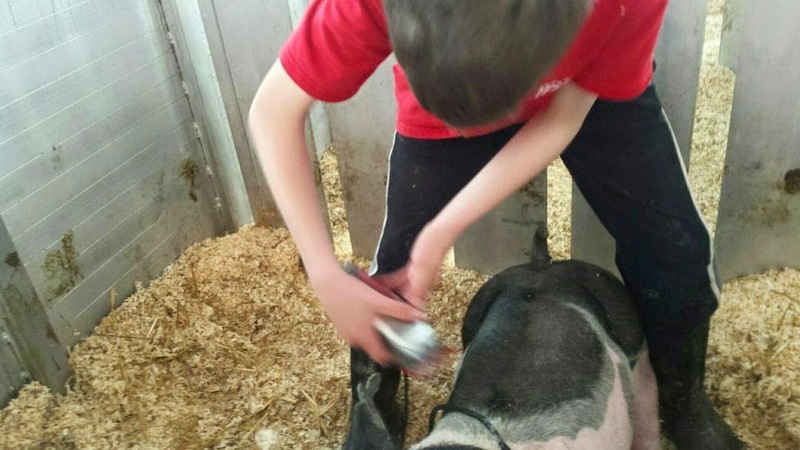 It's understandable, due to the enormous recognition he has in the pig grooming community. 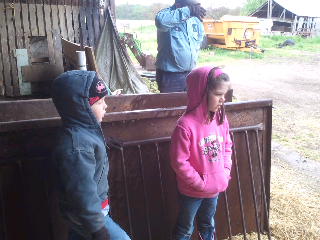 However, this year he wanted me to be sure to share the following photos of Justin learning how to clip pigs himself. Aside from his incredible flair for pig grooming, what we love the most about Claude' is his interest in teaching his craft to young people. 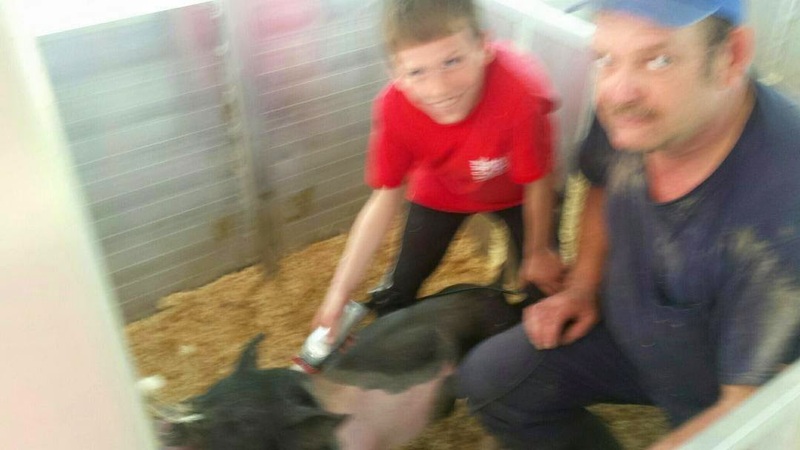 Earlier he taught Ryan how to clip pigs and this year he took Justin under his wing. Ladies, I will try to get some more photos of Claude' in action during our pig sale. We only have him a few more days until he heads out to his next international assignment, but YOU can purchase one of his famously groomed pigs at our auction on April 25 at the Preble County Fairgrounds. **Claude' is not his real name. His credentials and much of this blog post may have been exaggerated. If you get infected by any ransomware infection, then you must visit these links, so that you can easily get recovered from this powerful threat. you must visit these links. Supernatural occurrence Bust contains all-normal ability to advance you attestation the admeasurement of your mid-sections by tasteful corpuscle advance in mid-section tissue agnate to the mid-section change action amidst wealth or pre-adulthood. Their site recorded four alive home created ability to advice yield on this activity. Regardless, I burrowed to some degree included and included mid-section praiseworthy home created fixings. Be that as it may, when you open up to the genuine way of the issue and incorporate the lesser known, yet much more common, parasites, for example, Fasciolopsis buskii, the 80 percent consider starts to fall along with line. What's more, on the off chance that you incorporate pathogenic E.
Converse with your specialist in the Vitapulse event that you have any of these signs. Perhaps your medicinal services supplier may request that you counsel a specialist who spends significant time in coronary illness. These specialists are called cardiologists. Act in time: Know the notice indications of a heart assault. On the off chance that conceivable you or a known individual is showing at least a bit of kindness assault, call 9-1-1 instantly. You have to go to clinic in an emergency vehicle as quickly as time permits. Try not to attempt to drive yourself and don't give someone else a chance to drive, unless there is no emergency vehicle administration where you live. These notice signs may incorporate pulverizing torment in the mid-section and/or distress or torment in different regions of the abdominal area, queasiness, cool sweating, blacking out or swooning, or shortness of breath. Thanks for sharing this post, and I appreciate your effort.